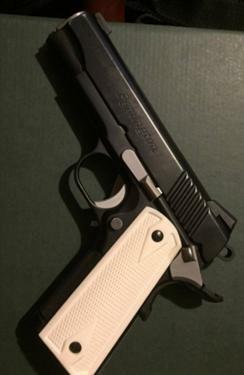 For Sale: Remington R1 1911 Carry Commander in 45ACP. - Includes 2 stainless 8 round magazines, and the white grips shown, which I was told by the last owner are buffalo bone. Must be transferred at an FFL with the buyer paying the transfer fee.